Remember when I got this? So after careful scientific research…ha, here are my thoughts on the various lines of Korean BB and CC creams. These are in order I used them. I hope you enjoy! Keep in mind – a lot of these products have whitening claims/properties – this is a cultural thing. Also, since these are for an Asian, specifically Korean market, you won’t find a lot of shade variations. The option is pale and more pale. This is whitening, moisturizing, priming, protecting. 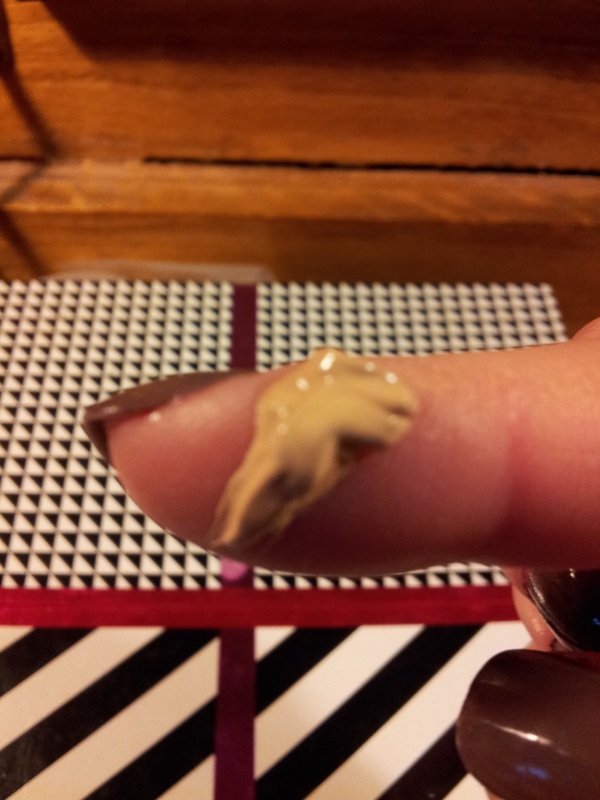 As you can see from my picture, the color of this balm was a bit dark for me. I used it over a moisturizer like the directions on their website suggested since I am dry in the Winter. I thought this worked beautifully. The only draw back is the shade. I looked like I had a slight tan. This may work for me in the Spring and Summer though. 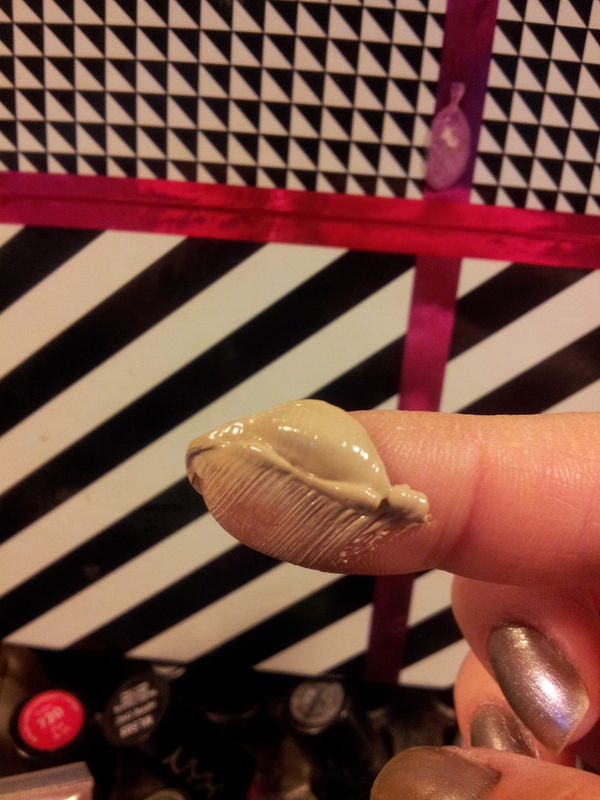 This shade is way better matched to my current skin tone. 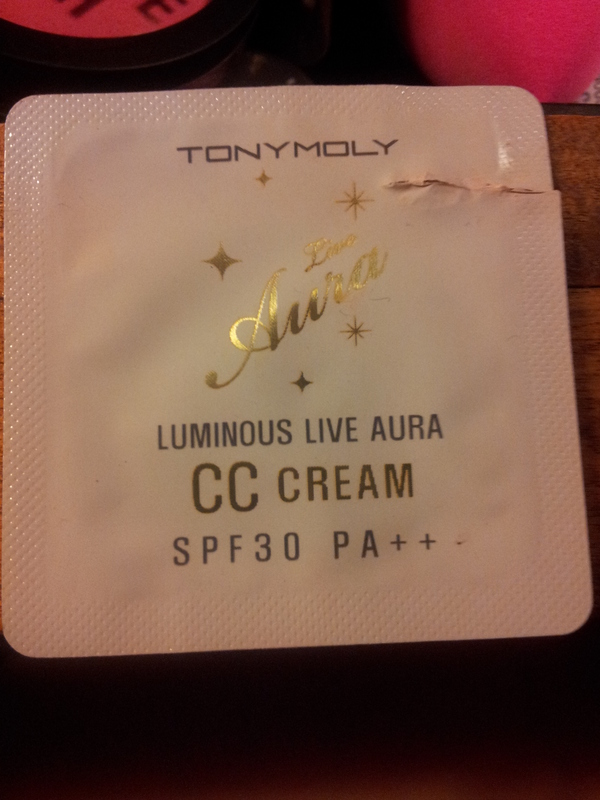 I felt like this CC cream provided better camouflage of imperfections. It blurred anything red and pore size. 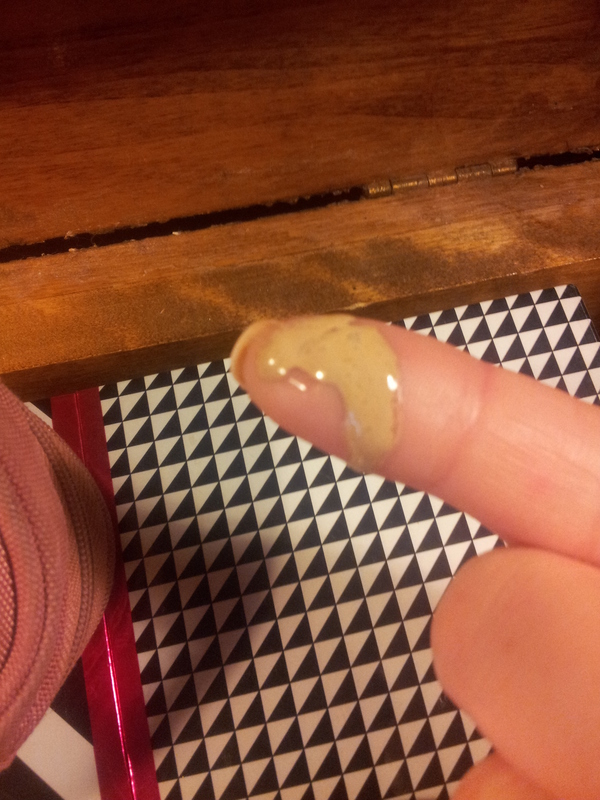 Also, this had a slight tingle/burn like a peeling or retinol agent. Ok, new fave. 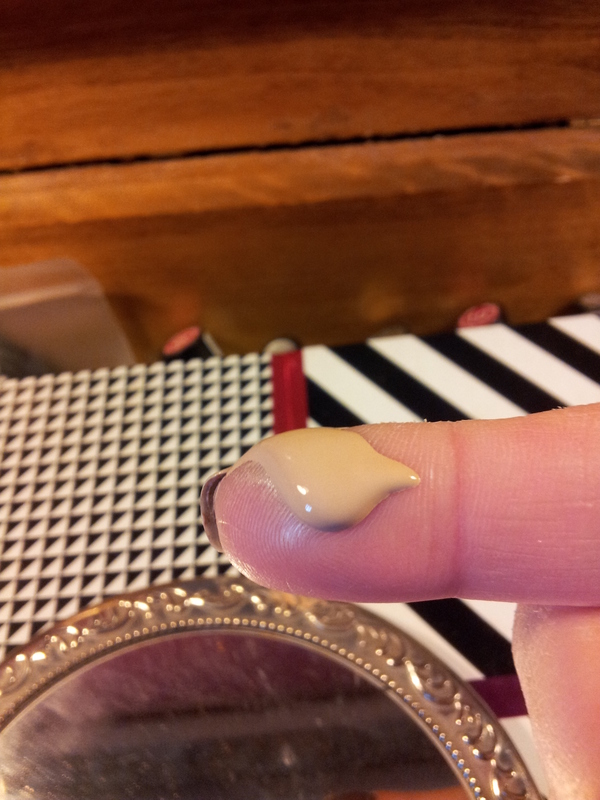 This creams has a lot more coverage than the previous 2. Covers a lot of redness, almost no under eye concealer is needed. WAY AMAZE. This looks a bit darker than it actually is. It blends really well and this is the most moisturizing CC cream so far. I think this clogged my pores a bit. I vote no for this one. 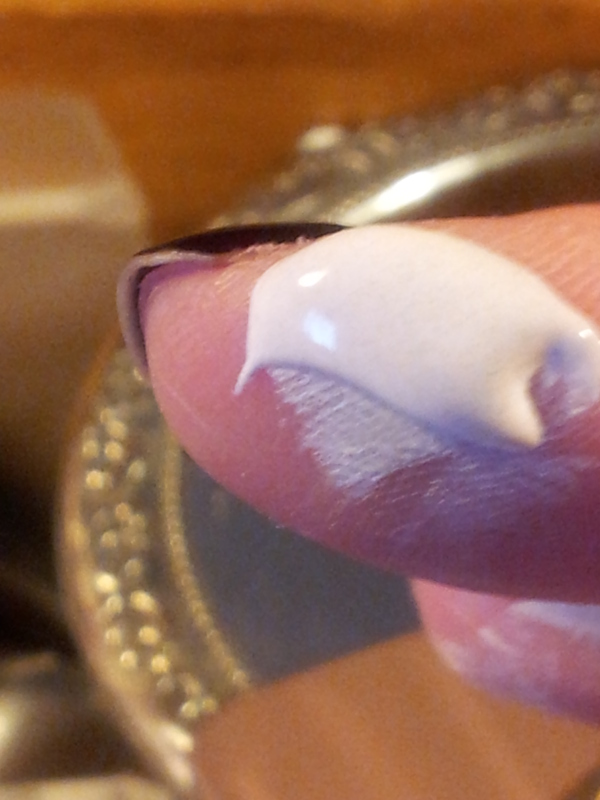 This is a bit more runny than the previous creams. The creamier consistency made this cream easier to apply and distribute. It smelled really nice, sort of like aloe or a sun product. However, I felt that it wore off the fastest of all I’ve tried. Although it felt the best while on my skin. This would work best for dryer conditions or after summer when skin is thirsty. This was very similar to the Agave Cactus version. I honestly can’t tell the difference and the scent is almost identical. 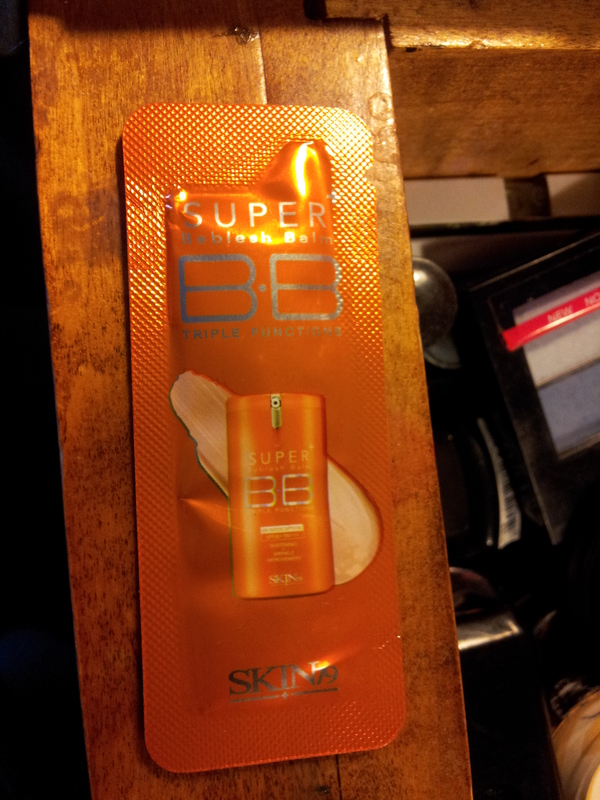 This is my last sample from the Skin 79 line of Super BB’s and I’m super sad. All of these were great, and each other than the Hot Pink matched my skin perfectly. Great products. I like this line of CC creams. I am considering getting one of these for my collection as well. 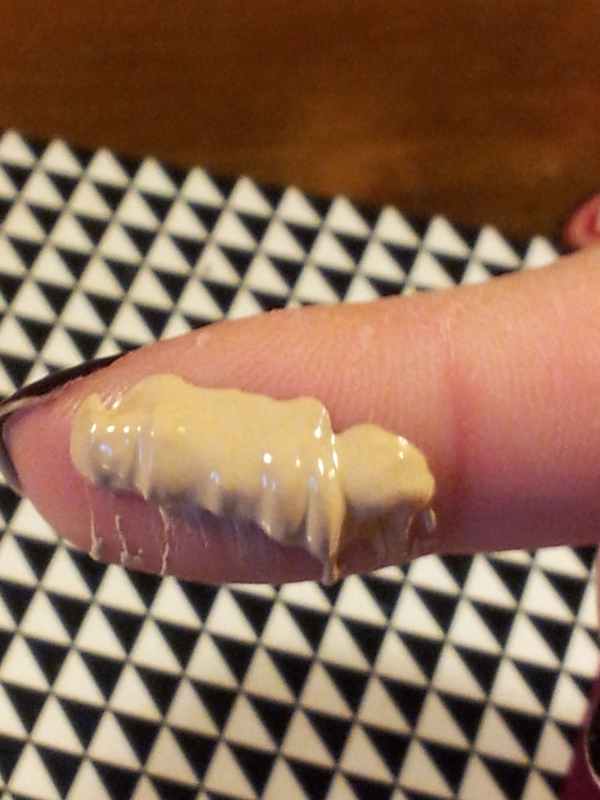 I really like the consistency of this cream. 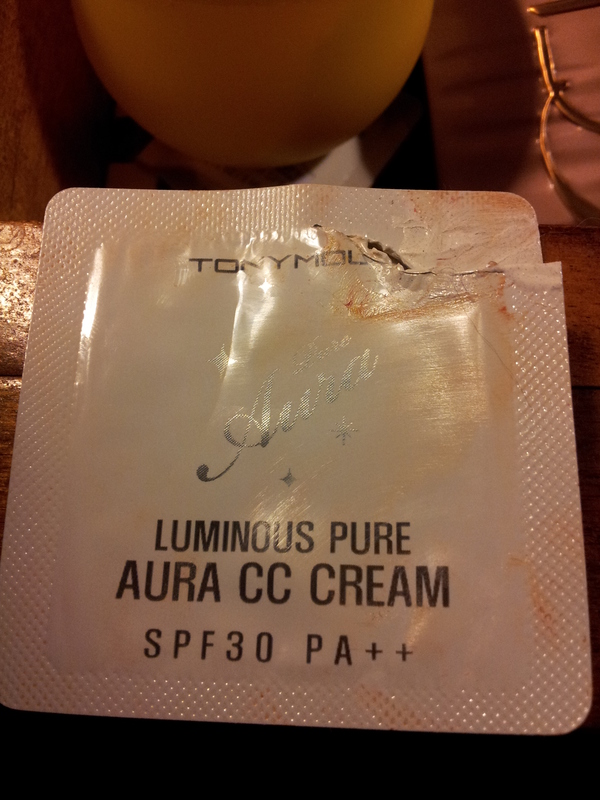 I really disliked this CC cream. I thought it was very watery and the wear time was not very good. I don’t think it lasted through my work day. 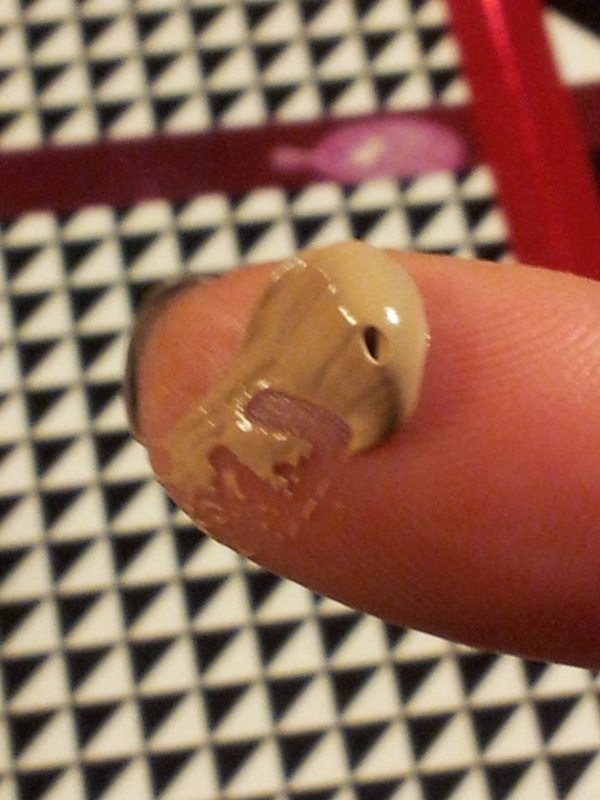 Also, now that it is warming up my skin is not dry anymore and this was sort of oily on me. I did pick a winner and ordered! Want to know what I love? 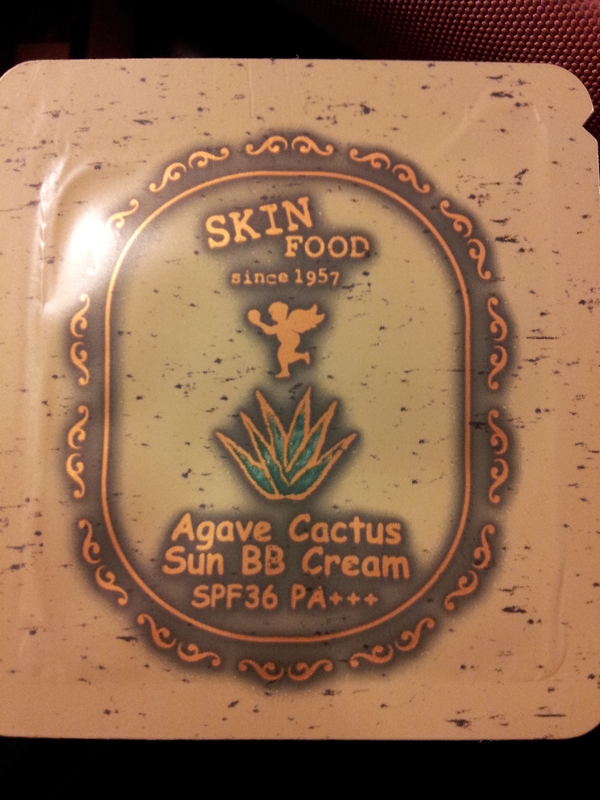 What you see here is a sample of Korean BB creams! SO MANY KINDS. 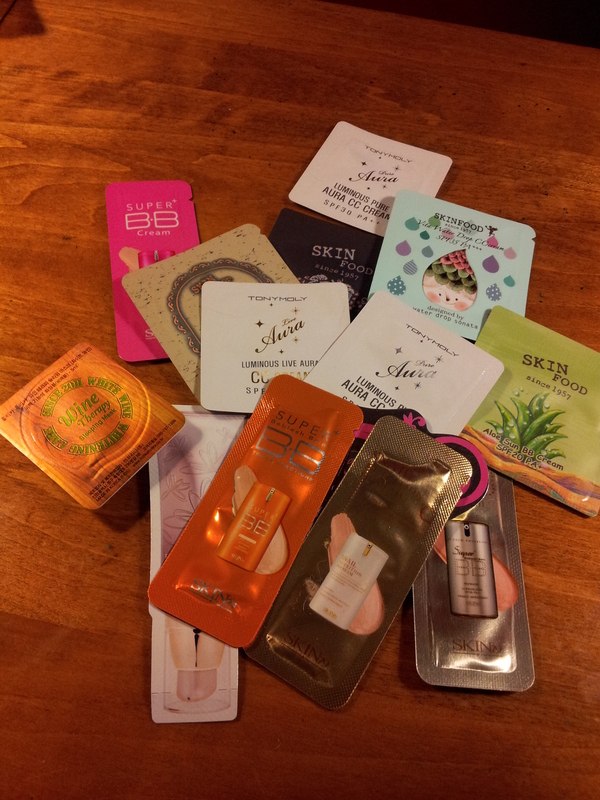 The site Cosmetic Love – a Korean Beauty Shop sells and delivers to the American market.For $6.38 USD you can order a sample pack of 12 BB and CC creams. I received mine in about 3 weeks from order. I am slowly making my way through the stash. Just finished my second sample. I am able to get 2-3 uses out of each packet. 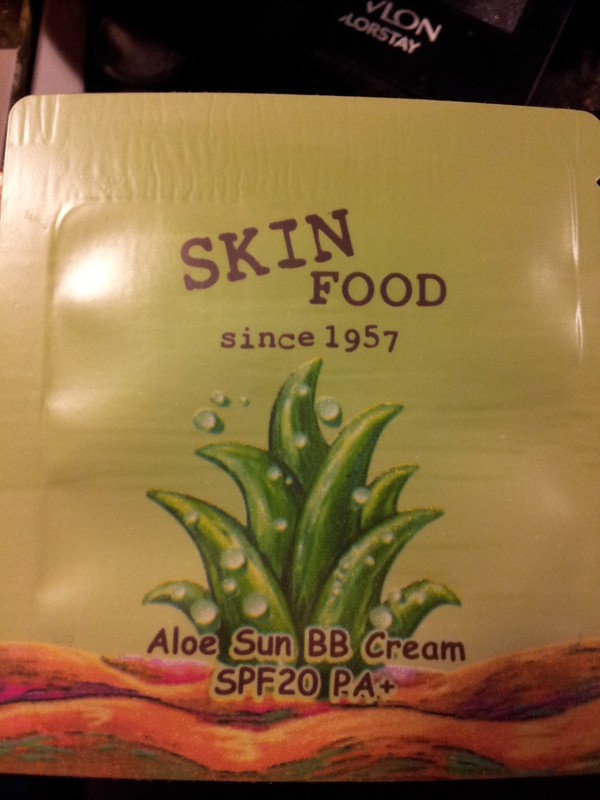 As you may remember, I have been craving some Korean cosmetics. The Koreans not only launched this BB and CC craze, but they are stepping up their game. And creating make-up that is crazy multifunctional. We are talking major make-up science. I posted here about some online retailers that carry Korean products in the US and for the US market. If you are in the glorious Europe, I have no clue about your access to these creations. On Friday, instead of buying 1 product, I got a sample pack of 12 (TWELVE!!!!) BB and CC Creams. 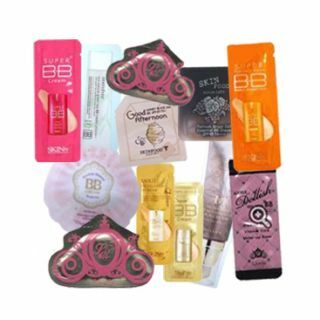 12 samples for $6.38 USD Click here to get you some. This is coming to me from Korea, so I have no idea how long the shipping will be. It could be up to a month, but I hope it is quicker. 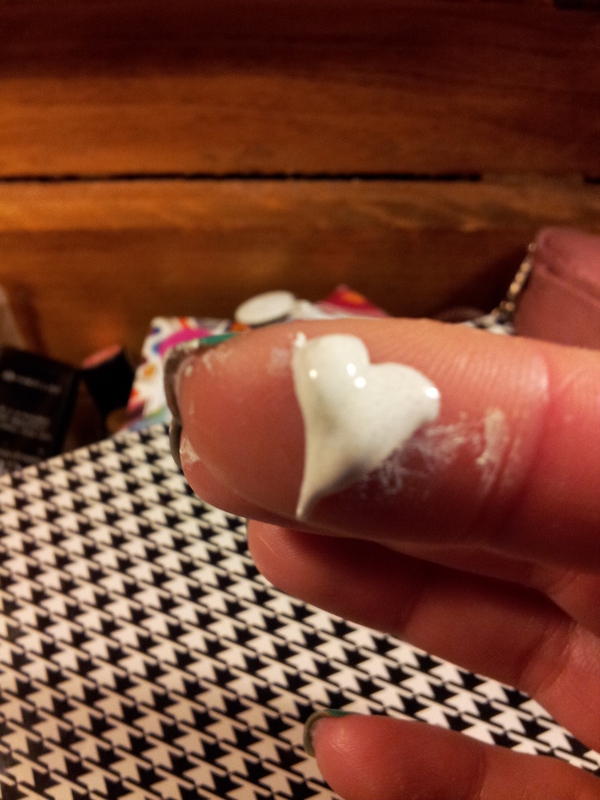 Cosmetic Love is an awesome site! SOOOO many products. 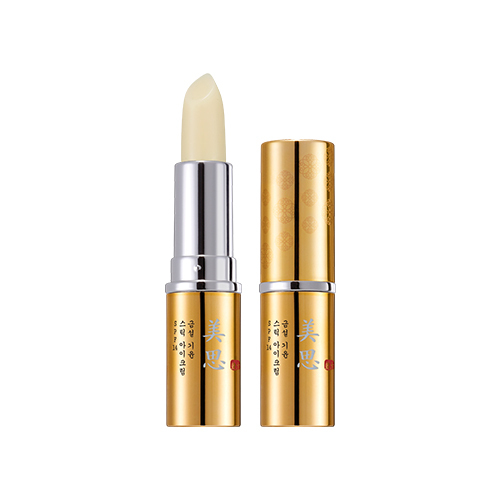 Have you tried the Asian beauty products yet? I have a growing obsession with Korean skincare and cosmetics. 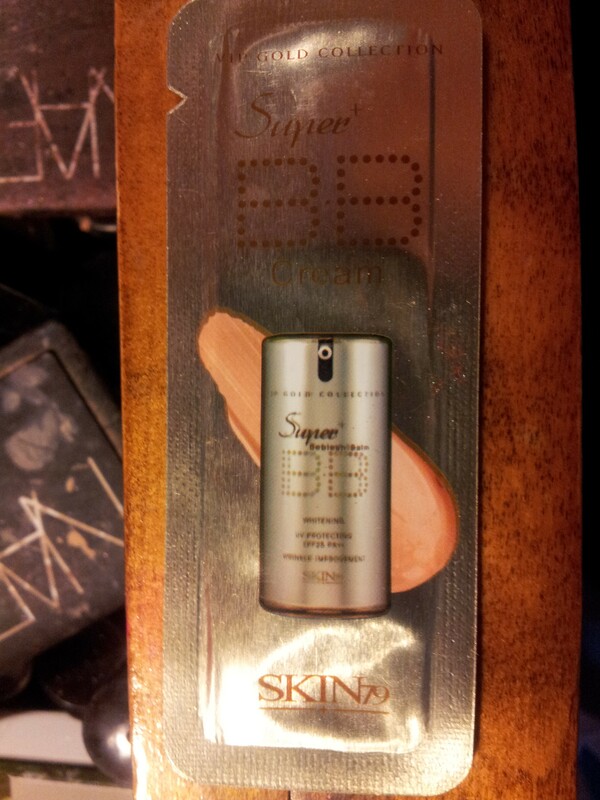 After all, that is the birthplace of the BB and CC creams we’re currently rocking. Their websites are pink and girlie, I can’t stay away. Here is what it says: “Herbal eye care for healthy, luminous eyes. 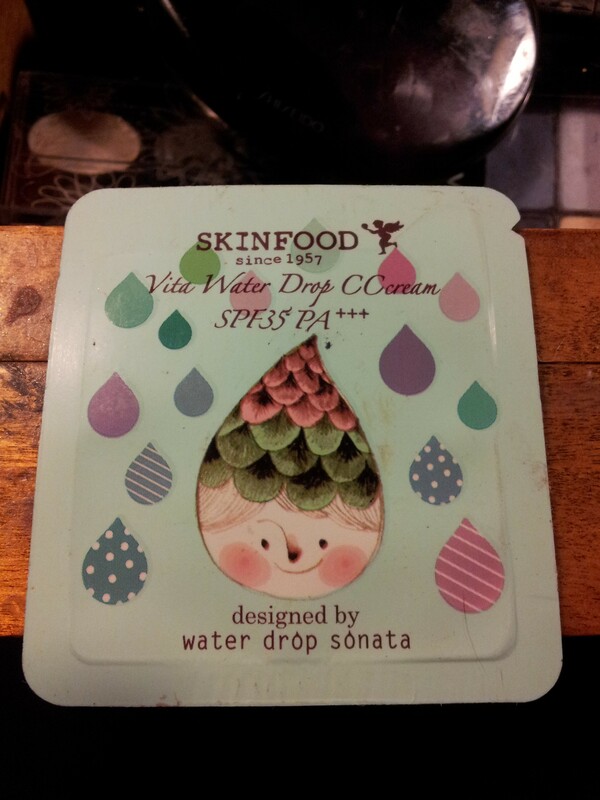 Mild formula hydrates and protects delicate skin around eyes. 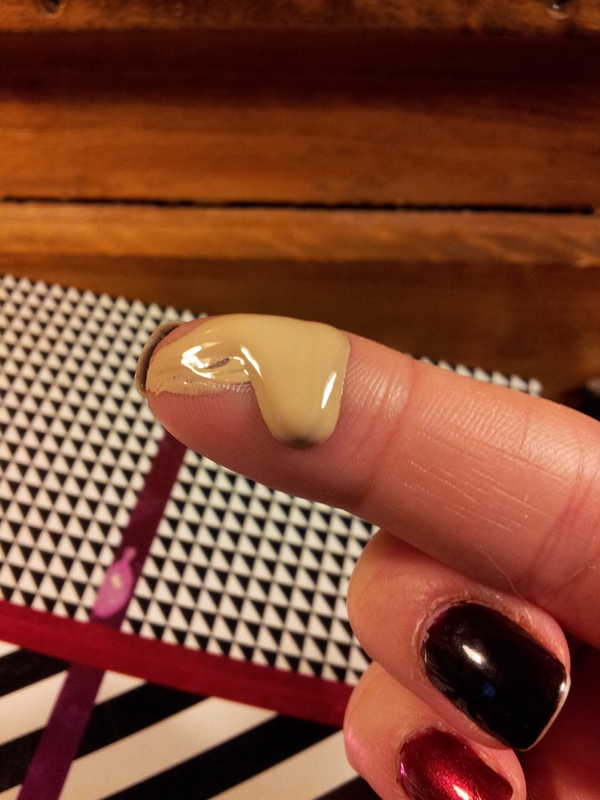 Stick type eye cream can be applied liberally and easily over and or under makeup. 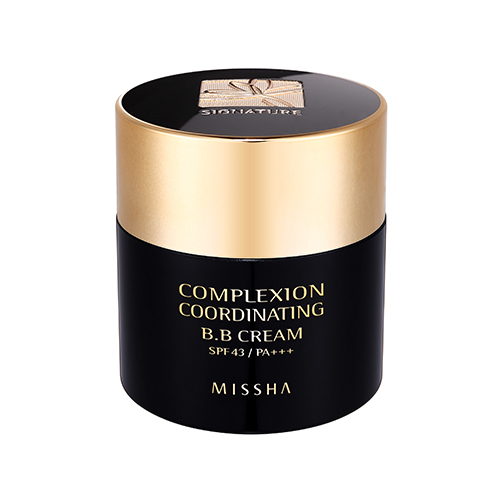 From Missha – “Complexion Coordinating BB Cream SPF43/PA+++ gives you a clean, even more natural look! No.2 Flawless Complexion is a flaw correcting beige cream for clear and smooth skin. CC BB Cream features the Inner and Outer Complexion Coordinating Systems to provide skin care benefits for smooth, flawless skin. “The gel-type peeling essence is gentle and gives an intensive care to clean and hydrate skin. Watch as it bubbles to remove dead skin cells, impurities, and oil. Have you used a cosmetic from an Asian brand before? What did you think?